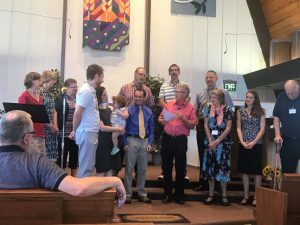 Ryan Koch was installed as pastor at Glennon Heights Mennonite Church in Lakewood, CO on September 23. 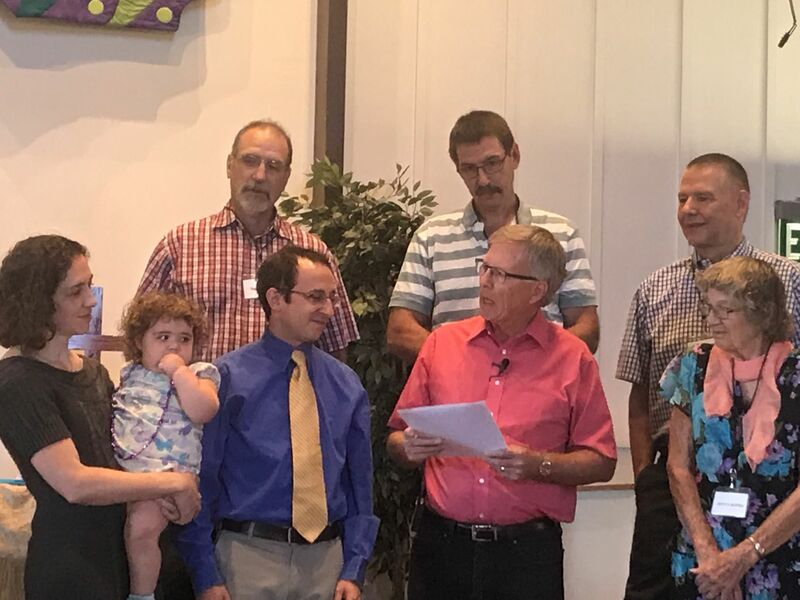 Here he is shown, surrounded by his family – wife Stephanie Nance and daughter Olivia Nance Koch – and the GHMC Church Council and Transition Team in a litany of welcome led by conference minister Merv Birkey. 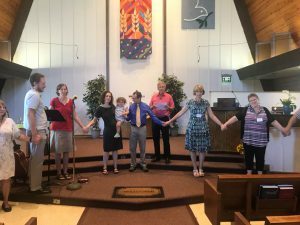 Ryan comes to Mountain States Conference from Dallas, TX where he served as pastor at Peace Mennonite Church since 2010. He is a graduate of Duke University Divinity School in Durham, NC. 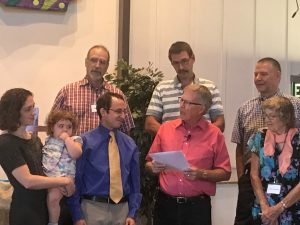 He has dual bachelors degrees in mathematics and bible/theology from Malone College in Canton, OH. Prior to moving to Colorado, Ryan served in multiple roles with the Western District Conference, was on the board of the Dallas Peace Center and was a recipient of a 2015 Lilly Sabbatical Grant to spend ten weeks in Europe studying the relationship between Jewish and Anabaptist/Mennonite communities.